Meredith and Sofie Jacobs have been sharing a journal since Sofie was nine. 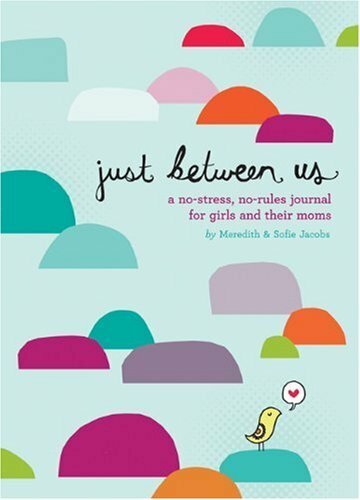 They created this fun, fresh volume to help other moms and daughters get to know each other in a whole new way. Advice and thoughtful writing prompts pave the way to discussing everything from friends and school to crushes and growing up. Also includes pages for drawing pictures and making lists and plenty of free space for writing about whatever comes to mind. With perspectives from both generations and a hip look, this one-of-a-kind journal is a surefire hit with moms and girls alike!